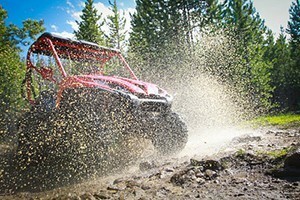 ATV and OHV Trails are plentiful in the national forests that surround Yellowstone National Park. You are not allowed to go off-road within Yellowstone National Park. 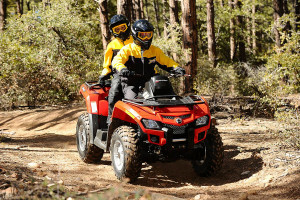 Featuring CanAm Outlander Max and Commander XT Side-by-Side. 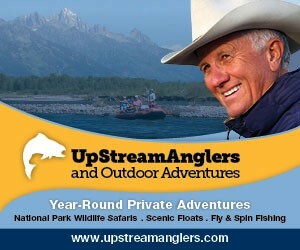 Rent them for 1/2 or full day with lots of trail options to pick from. 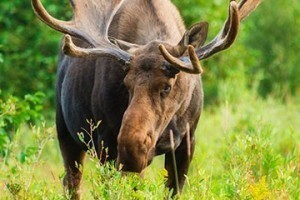 In the forest, around lakes and more. Renting Kawasaki Teryx4, Can-Am Maverick, Polaris RZR & CF Moto ZForce UTVs, and for winter 2018-19, Ski-Doo Boondocker TURBO, Polaris 850 and Arctic Cat Sleds. No vacation to Yellowstone is complete without seeing live rodeo. 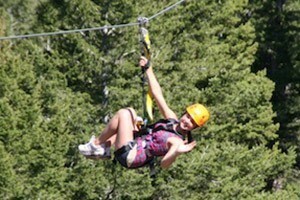 In West Yellowstone MT, the season runs June 12 - August 31. Kids = $8, adults only $15. Trail rides too. 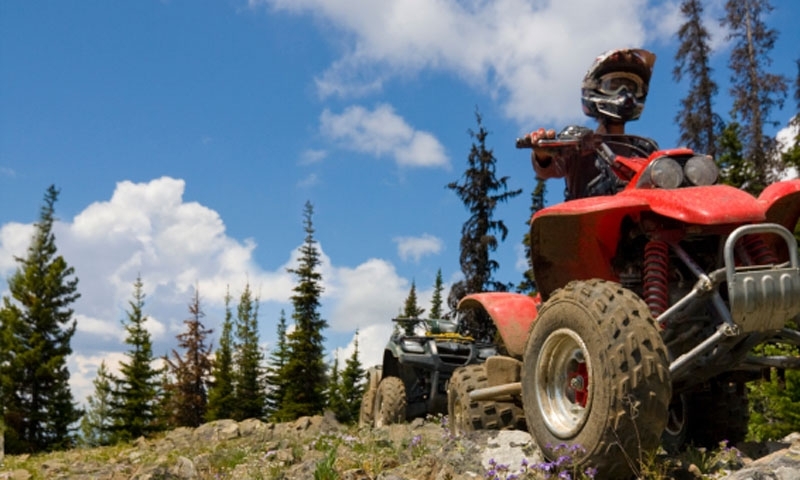 Where can I ride my ATV or OHV? 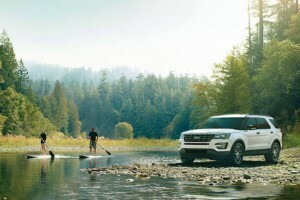 There are literally hundreds of roads and trails that are great for ATVS, 4WD, and OHVs. Take a look at these resources for the best maps. Can I rent an ATV of OHV? 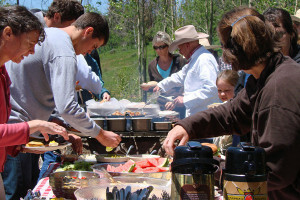 A number of gateway communities offer ATV rentals. 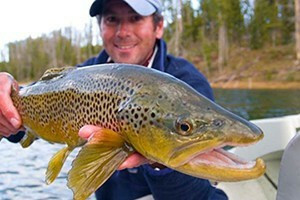 For the best options check for rentals in Bozeman Montana, West Yellowstone Montana, and Jackson Wyoming. Large offroad enthusiast gathering, taking place each spring in Moab, Utah.